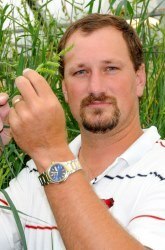 By Jason K. Norsworthy, Ph.D.
Summary: Cover crops have been gaining increased adoption among U.S. cotton growers as they continue to battle herbicide-resistant weeds like Palmer amaranth. This presentation will help consultants, growers, and other practitioners in the Southern U.S. cotton-producing states to understand the types of weed control that occur when using cover crops and the importance of selecting a cover crop to which cotton has ample tolerance. The pros and cons of using fall-seeded legume, mustard, and cereal cover crops pri9or to planting cotton are discussed. Emphasis is placed on the need for on-farm evaluations prior to wide-scale planting of a cover crop and the need to optimize cover crop growth to maximize weed suppression. Before planting a cover crop, one should have an effective plan for terminating the cover crop prior to planting cotton, keeping in mind that not all cover crops respond similarly to typical burndown herbicides.